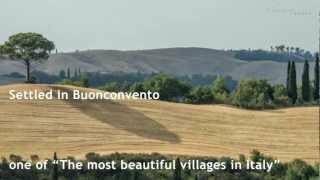 When it comes to holidays in Italy, there are two choices, mare or montagna. The sea or the mountains. Being in Northern Italy the city of Milan is much closer to the mountains, and many from the city decide to spend the summer holidays there. By the beginning of the summer the ski season has finished, but there's plenty to do in the mountains and the surroundings provide a welcome break from the heat and the humidity of the city. 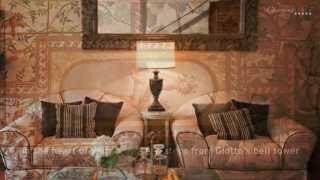 One of the most glamourous and well-known ski destinations in Northern Italy is Cortina d'Ampezzo (known simply as Cortina) in the Dolomites. 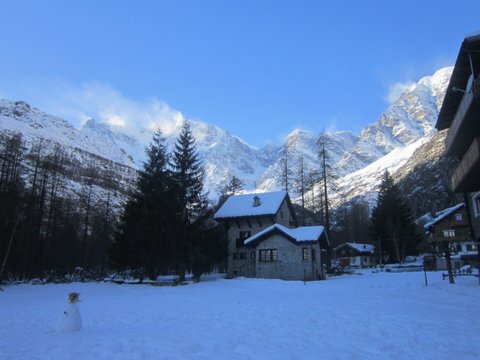 It's loved by Italians who look for a bit of luxury for their mountain get-away, and also by tourists. Here life is laid back, with not too much emphasis on skiing during the winter months, but on simply enjoying life. 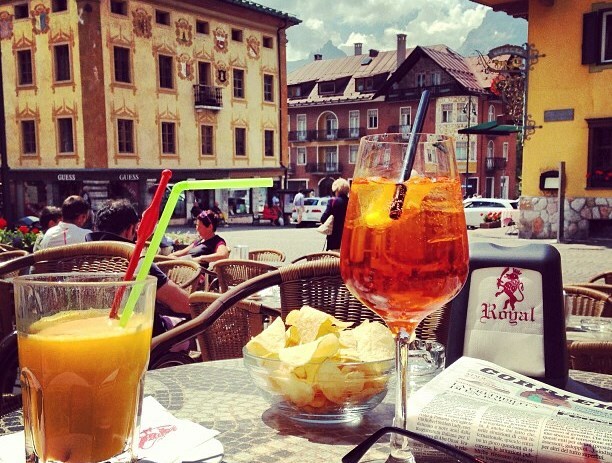 Cortina is also known for its designer shops, on the same level as the famous Quadrilatero d'Oro in Milan. The nightlife is very lively, and there are many restaurants where you can enjoy a long lunch. 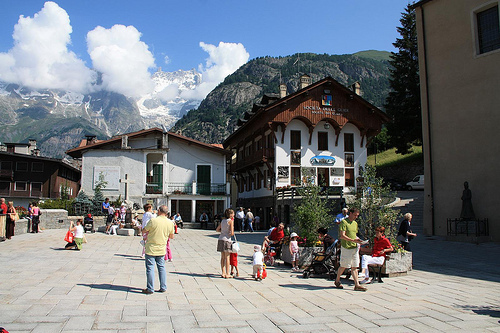 Courmayeur, as the name might suggest, is close to the border with France, in the Val d'Aosta region in north-west Italy. It's another popular destination for the city dwellers of Turin and Milan during both the winter and summer. After the end of the ski season the snow-free slopes provide an excellent place to go trekking or mountain biking, and there are also rivers where you can go kayaking or rafting. 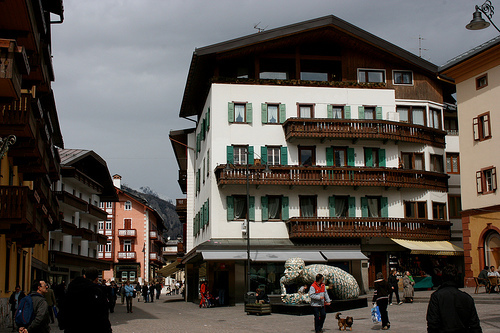 As with Cortina, Courmayeur is also known for its apres-ski and shopping, and there are many bars and restaurants in the city centre where you can pass your time. 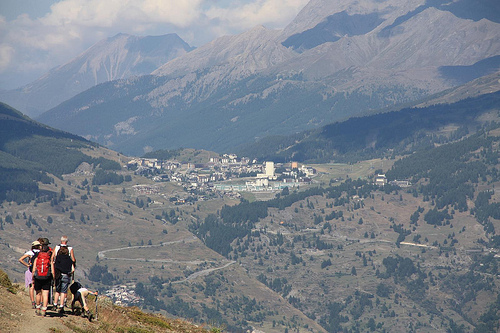 Sestriere is another ski destination on the French border, in the province of Turin. Only 884 people live in the comune of Sestriere, but with the surrounding mountains it has become one of the largest ski destinations in the whole of Italy. It is also the higest comune in Italy, at 2,035 metres above sea level. After the snow has melted, in the summer many come there to play golf, on the highest 18 hole course in Europe. The town is also well-known for other sports, such as cycling and athletics. This year it's also the home of Juventus' summer training camp. And in true Italian style there are also plenty of places where you can have a hot chocolate or aperitivo, and watch the world go by.